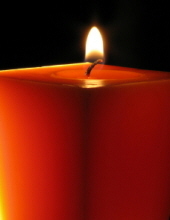 Louis Wyckoff Adickes, 70, of Bound Brook, passed away suddenly on November 16th in Somerville. Louis was born in Somerville and lived in Bound Brook for many years. He was a long time volunteer firefighter with Watchung Fire Company No. 3 of Bound Brook. He was an Instructor of Business at Middlesex County College for 30 years, the Director of Customized Training at Ocean County College and for the Institute at Middlesex County College. He served on the Board of Directors of Homes for All, Big Brothers Big Sisters and Literacy Volunteers in both Monmouth and Ocean Counties. He was a past president of the Jersey Shore Quality Council and a member of the Coast Guard Auxiliary in Cranford. He was also and avid golfer and skier. Predeceased by his parents, Dorothy and Ernest, Sr., he is survived by his wife of 30 years, Maria Polczyk; his brothers, Dr. Edward Adickes and his wife Eileen, of Macedonia, IA and Ernest Jr. and his wife Ruby, of Colombia, South America; his brother-in-law, the Reverend Stanislaus Polczyk of Lawrenceville and his sister-in-law Marcia Bailey and her husband Steven, of Rockville, MD, and; many nieces and nephews. Visitation will be Tuesday evening, November 20th, 7:00 to 9:00 PM from Zylka Funeral Home, 513 State Street, Perth Amboy. Funeral services and interment are private at the request of the family. To send flowers or a remembrance gift to the family of Louis Wyckoff Adickes, please visit our Tribute Store. "Email Address" would like to share the life celebration of Louis Wyckoff Adickes. Click on the "link" to go to share a favorite memory or leave a condolence message for the family.